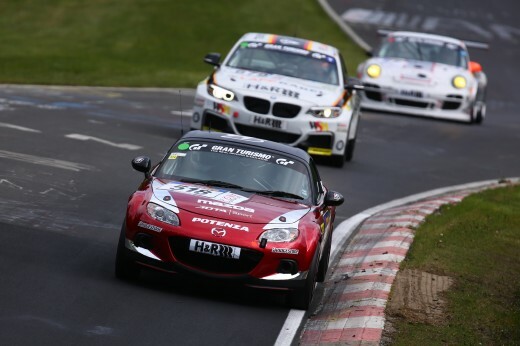 Mazda is taking on the challenge of racing at this year’s Nürburgring 24-hour race on 21–22 June 2014 with the aim of winning its class using a production-standard Mazda MX-5. Follow it at: Radiolemans.com. 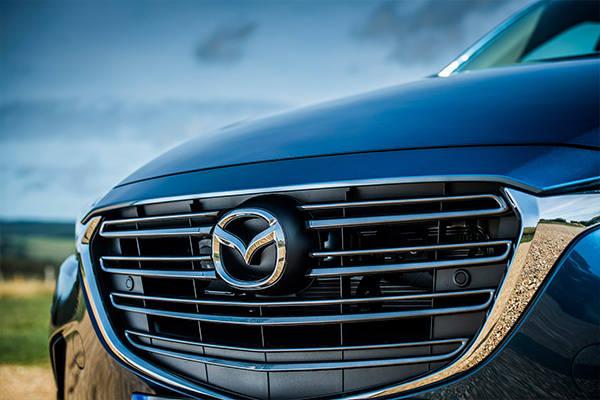 Here we talk to one of its star drivers. 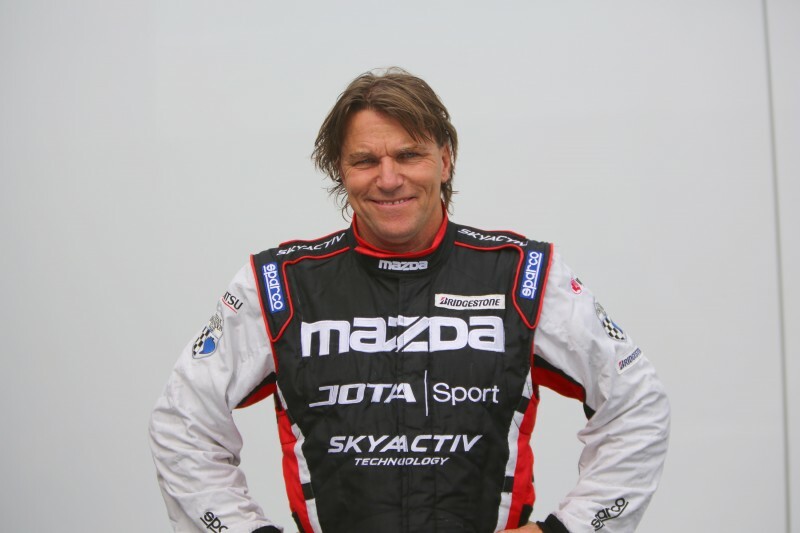 If you’re a fan of Formula One, you’ll have heard of Stefan Johansson. The 57-year-old Swede competed in grand prix racing from 1983 to 1991, racing for some of the biggest names on the grid, including Ferrari and McLaren. He also won the legendary Le Mans 24-hour race in 1997. Johansson will team up with Wolfgang Kaufmann, a German driver who has an intimate knowledge of the Nürburgring circuit, Owen Mildenhall, a British journalist who has raced the Mazda MX-5 in a variety of competitions throughout England, and Teruaki Kato, winner of Japan’s Roadster Party Race. 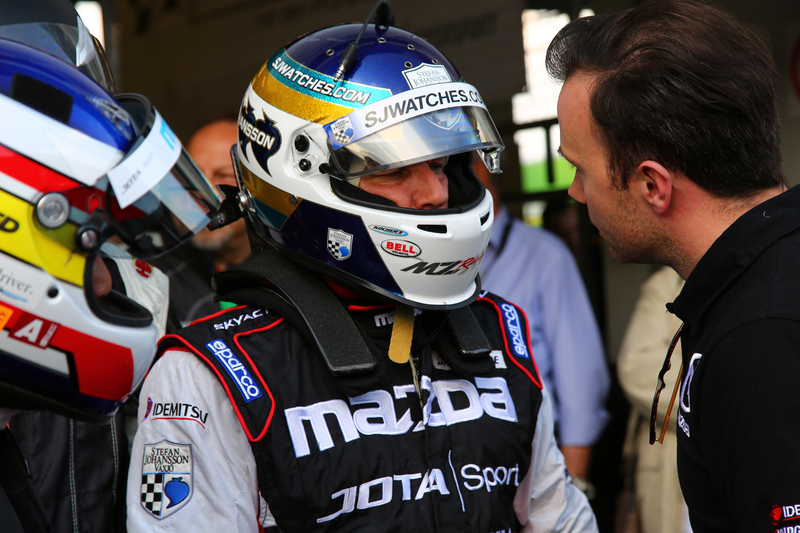 Mazda Social caught up with Johansson to find out how preparations are going for this weekends Nürburgring 24-hour race. Mazda Social: You raced with Mazdaspeed at the 1990 and 1991 Le Mans 24-hour races, in the legendary Mazda 787B. How did you come to be involved with the company and the 2014 Nürburgring 24-hour race? 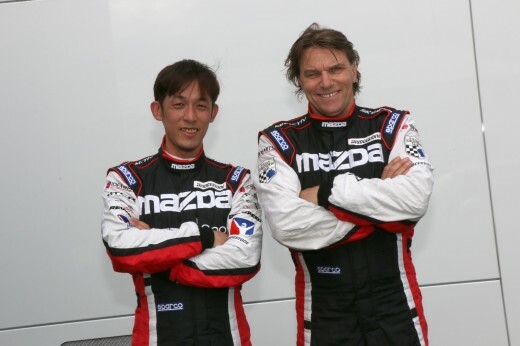 Stefan Johansson: I have known the people in the Jota team for many years and when they mentioned that they would be running the Mazda MX-5 in the Nürburgring race I said I would be interested in joining them. 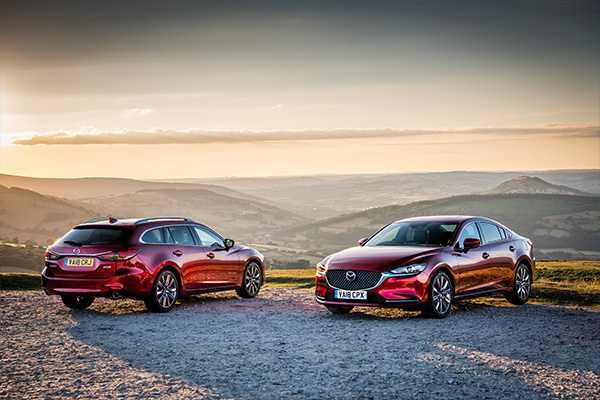 It’s the greatest race track in the world and to be able to join Mazda again was too good an opportunity to miss out on. MS: You have experience of competing in Group C sports prototypes and Formula 2 single seaters at the Nürburgring. 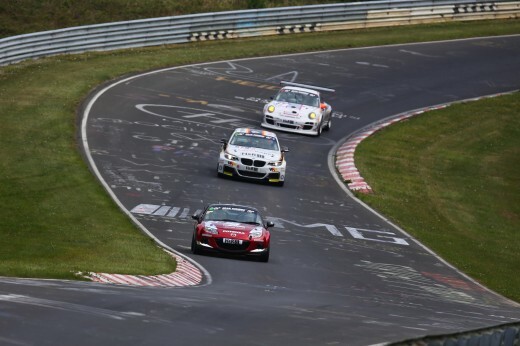 Surely that would have been enough to put you off the place they call the Green Hell? SJ: No, on the contrary, I find the track fascinating. It’s the most demanding and difficult track in the world by far, the combination of high speed and rhythmic corners makes it a pleasure to drive on. MS: When did you last compete there? SJ: 1983, in the Joest Porsche 956. We finished second, behind the factory Porsche team. With over 1000hp and a massive amount of downforce, the cars were insanely fast and more than a handful to drive, especially around a place like the Nürburgring. MS: How well do you know the circuit now? SJ: I raced the Mazda MX-5 in a four-hour ‘qualifying’ race at the circuit in April, so I have a good understanding of the track and the car. It will take longer to get every last bit of performance out of each corner of the track. MS: Does it make a nice production race car? SJ: Yes, it’s a fantastic little car, a real classic in every sense. The chassis is very well balanced and makes the Mazda MX-5 a lot of fun to drive. MS: It’s quite different to a Formula One or sports prototype racing car. What are the skills you think you can employ to get the most out of it? SJ: The most important strategy in an endurance race is to ensure there are no unscheduled pit stops, so it’s really a matter of keeping things running smoothly from start to finish. Drivers lose a lot more time if they have to make an unscheduled stop for repairs, than by losing a second here and there on your lap times. MS: Would you agree that it’s the most demanding track, and therefore this will be the most demanding race, in the world? SJ: Yes, without a doubt. 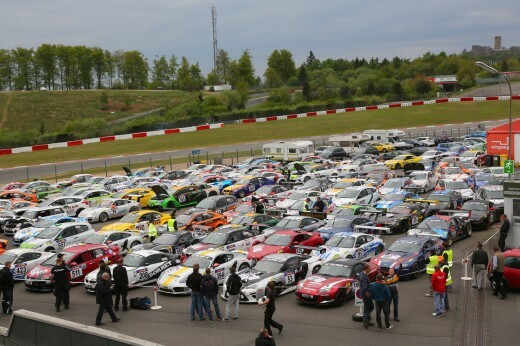 The track and sheer number of cars starting the race [around 200] will make it incredibly challenging. MS: There is a big speed difference between the various types of car that compete at the event. Is it stressful to be driving with one eye on the road ahead and another on traffic approaching from behind? SJ: I wouldn’t say stressful; it’s part of the strategy and also part of what makes the race interesting from a driver’s perspective. Regardless of what you’re racing, a driver’s role is to anticipate the cars in front or behind them in order to lose the minimum amount of time when overtaking rival cars or being passed by cars from faster classes. It’s actually quite fun, and as the race develops you find there’s a pattern to the cars which you try to use to your advantage in each stint you run. MS: What’s the goal for the team? SJ: Our goal is also to win our class, and I think we have a very good chance of pulling it off. I finished sixth at the last 24-hour race I entered with Mazda [the 1991 Le Mans 24-hours] so it would be nice to win this time!